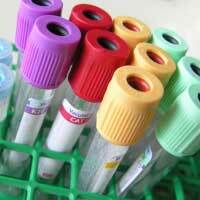 Dr.Malpani's Blog: Why is there so much over testing in medicine ? Doctors order far more tests today than they used to in the past. One reason is that medical technology has advanced, as a result of which doctors have a much wider armamentarium of tests to choose from – and they need to deploy these wisely. Secondly, doctors believe that they practice scientific medicine, They need data in order to be able to treat patients on an objective basis , and tests provide this quantification. The trouble with taking a history or doing a clinical examination is that these provide soft data - exactly the kind of information which alternative medicine practitioners such as homeopaths acquire. Modern doctors believe that the differentiating factor between scientific Western medicine and alternative medicine is the fact that there are so many tests which we have invented which can be used order to acquire quantitative data about the human body . Practitioners of alternative medicine can't do these tests – and this becomes the USP - the differentiating factor , between western medicine and other systems of medicine. Doctors are happy to exploit this difference in order to prove to patients how much better they are. Also, ordering tests is profitable ! They cost a lot of money , which patients will pay without quibbling . Finally, patients expect doctors to order tests and many patients are not happy unless the doctor does tests and generates reports . Not only do these reports appear very scientific , they are full of medical gobbledygook and scientific jargon, which impresses the patient enormously. Any one who is smart enough to make sense of all the squiggles and shadows must be very smart , and can be trusted with helping me to get better. Interpreting the test results allows the doctor to look very wise - and because he can make sense of all the jargon which the patient can't , helps to establish the fact in the patient's eyes that he's dealing with an exper. Medical technology companies which invent these tests and market them have played a big role in pushing them, because they spend a lot of money on convincing doctors to order these tests – and to patients as well, so that patients can demand that their doctors do these tests for them. Unfortunately, with the easy availability of so many tests , doctors seem to have lost their common sense. For example , just because it's possible to measure levels of Vitamin B12 in the blood , is it really necessary to do so ? The test is very expensive – and it’s actually much cheaper to just treat the patient with oral multivitamins. Not only is this much easier and kinder, there are no downsides to doing so, as the extra vitamin just gets excreted in the urine ! So why do doctors make patients spend their hard-earned money on useless tests ? When the doctor orders the test, and the results shows that the patient has a low vitamin B12 level, he pats himself on the back for having made the right diagnosis ! The patient is also extremely happy that he has such an intelligent doctor , who's diagnosed the problem accurately ! The danger with over testing is not just the fact that it wastes a lot of money, it also needs to a lot of unnecessary overtreatment . It’s a dirty little secret that all these tests are riddled with errors – they give rise to a lot of false positives and red-herrings , which doctors are then forced to investigate, often leading them on a wild goose chase or ordering a further battery of tests ( which are even more expensive ); or referring the patient to a specialist , in order to “treat” the test abnormalities. The tragedy is that doctors then focus on treating the abnormal lab reports , rather than the patient - and this is one of the reasons why patients complain that doctors are no longer as compassionate as they used to be !